Taurus December 2015 Horoscope predicts that career and profession will be more important than home and spiritual interests. This is due to the fact that planetary strength is concentrated in the Northern sector of your horoscope. Concentrate on improving your outer personality and personal success during December 2015. If you are interested in expanding your educational horizon, this month will provide opportunities for the Taureans. Overseas travel and study of foreign culture is indicated. People born under the Taurus zodiac sign will concentrate their efforts to further growth in their professional life. Your diligence will be recognized by your bosses and they will encourage you to achieve your targets. Business people will be blessed with profitable ventures. December is the best month for finances in 2015 for the Bulls. Income and money will be powerful till the third week of the month. This is not the best period for making huge investments or large purchases. Latter part of the month should be used for reviewing the present financial plans and formulating new strategies for the future. The December 2015 Taurus horoscope predicts that love will be wonderful this month. You will invest in a new home and will spend money in furnishing it with luxurious items. Plenty of celebrations and family parties are indicated. Pregnancy is also on the cards. Singles will find love mates in close circles or in family connections. Take this star sign compatibility test to know how good or bad you gel with your partner. 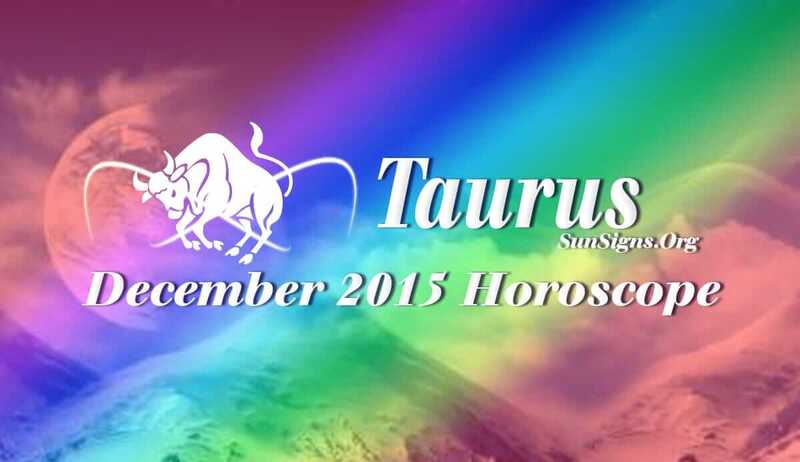 Taureans should relax and reduce their pace during December 2015. It is the right time to quit smoking and give up on bad habits.